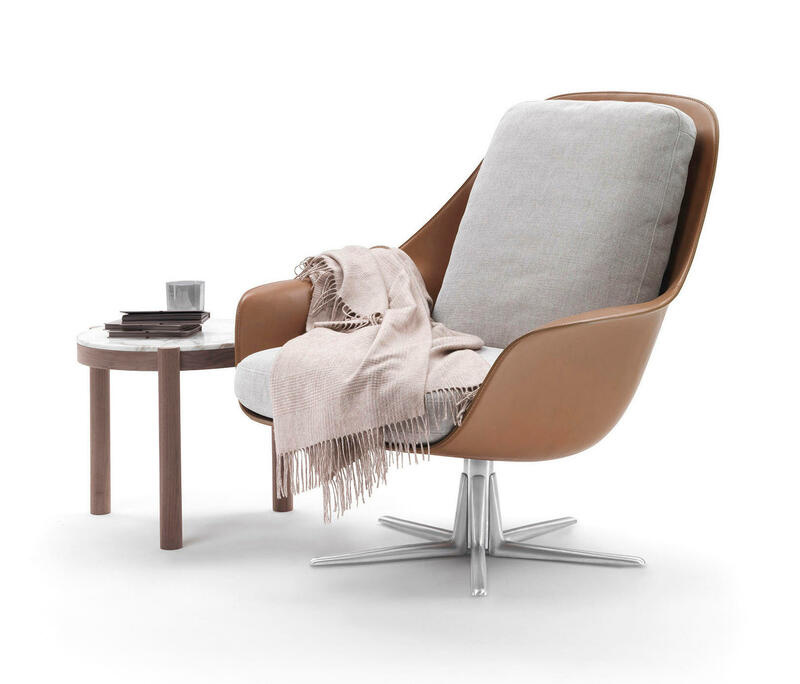 The sophisticated silhouette of the Sveva armchair reveals its unmistakable personality while silently telegraphing its generously welcoming appeal. 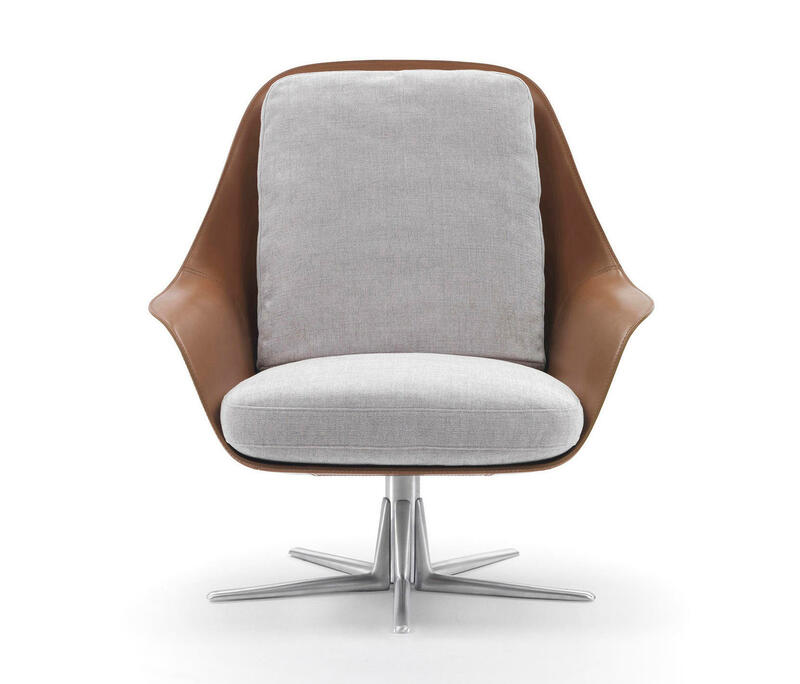 A shapely shell made of rigid structural polyurethane and then upholstered in saddle hide accommodates the soft, goose down filled seat and seat back cushions. The cast aluminum swivel base comes in versions with four or five spokes, the latter specifically designed to meet the needs of the contract market. Finish options for the support base are: satin, chromed, burnished, black chromed and champagne finished metal. 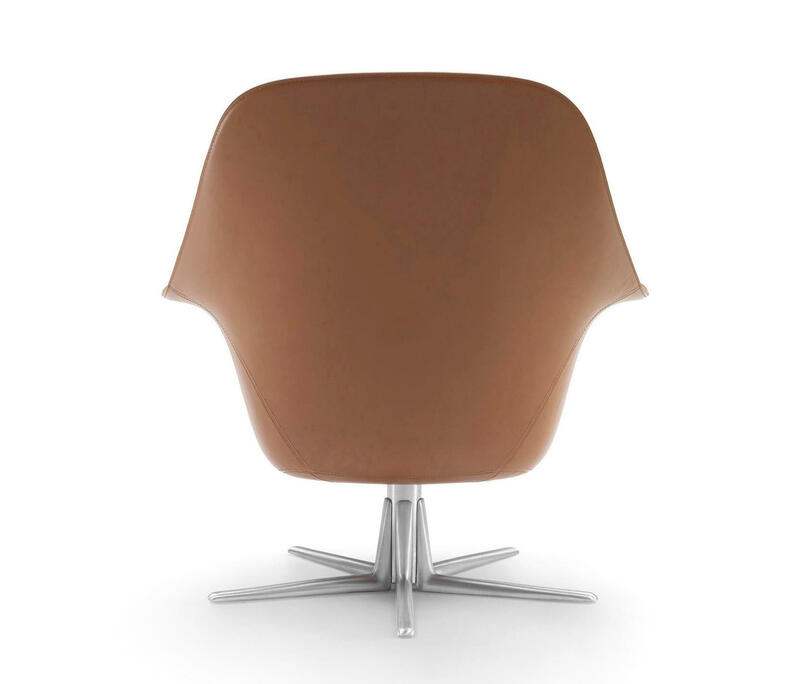 Between the saddle hide shell – available in nine colors – and the cushion upholstery options, that can be created in all the exclusive Flexform collection of fabrics and leathers, countless combinations are possible. 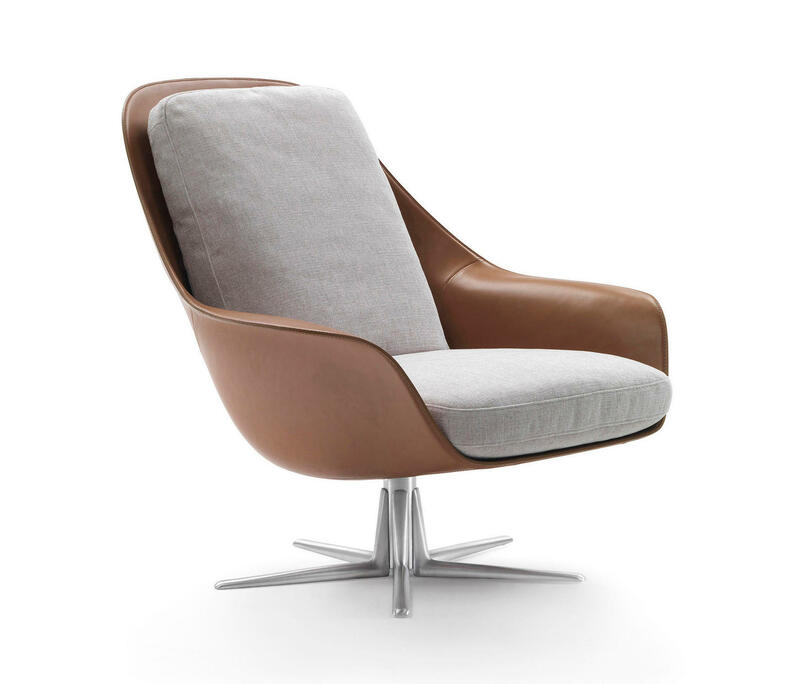 The Sveva armchair can be paired with its own namesake ottoman. The design of the base also inspired a series of occasional tables in various sizes and in a number of finishes, including sumptuous wood, exquisite lacquer and luxurious marble. With its sophisticated yet uncomplicated lines, the Sveva armchair is a perfect match with all the sofas in the collection and is confidently at home in both residential and hospitality interiors.